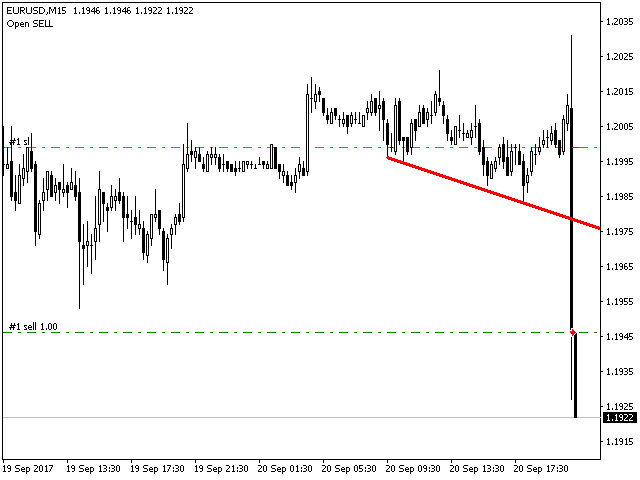 The Expert Advisor trades using trendlines. You should draw a trendline on a chart. The name of the line should be in the following format: "Trendline" space digits. This is the default name used when a line is drawn on the chart, please do not change it. 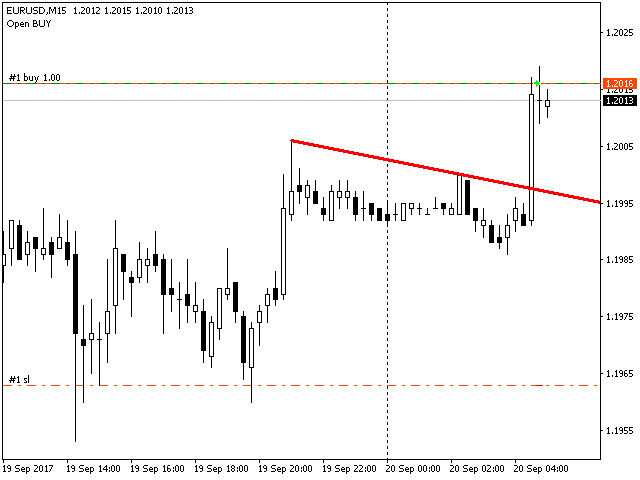 The EA supports two types of trading using the trendlines: a breakout strategy and a roll back strategy. A trade signal is generated on the last but one bar (the completed one), if its open price is below/above the trendline and its close price is above/below the trendline. The EA uses a standard trailing stop function.